With the Kegco Standard Homebrew Party Kegerator Kit, you can now have a convenient high-performance beer dispenser without the expense of a kegerator or the hassle of drilling through a refrigerator. Unlike a regular party pump, your beer will not go flat if it is not all consumed in one night, making it the perfect party solution! 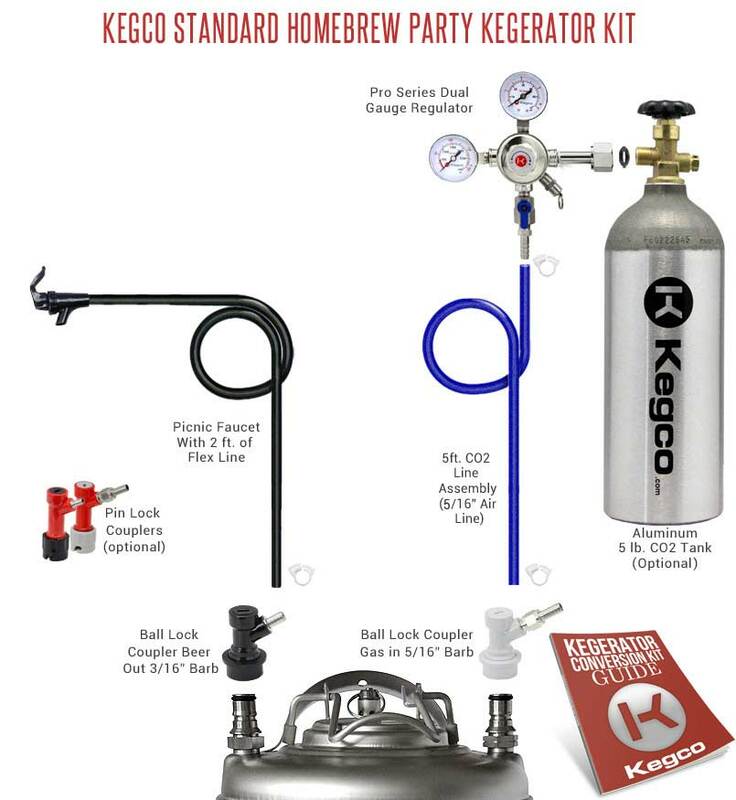 All you need is a refrigerator large enough to hold a full size homebrew keg, and Kegco provides the high quality commercial grade parts for a beer dispensing system that is designed and built to last, pour after pour, keg after keg. Convenience meets superior performance thanks to features like a durable and long-lasting lever handle coupler and a dual gauge regulator for monitoring both CO2 volume and output pressure, so you'll have all the tools you need to dispense your homebrew beer like a professional.